Usual Color Clear, white, Black, red. Other any color avalible depend on quantity. 2. 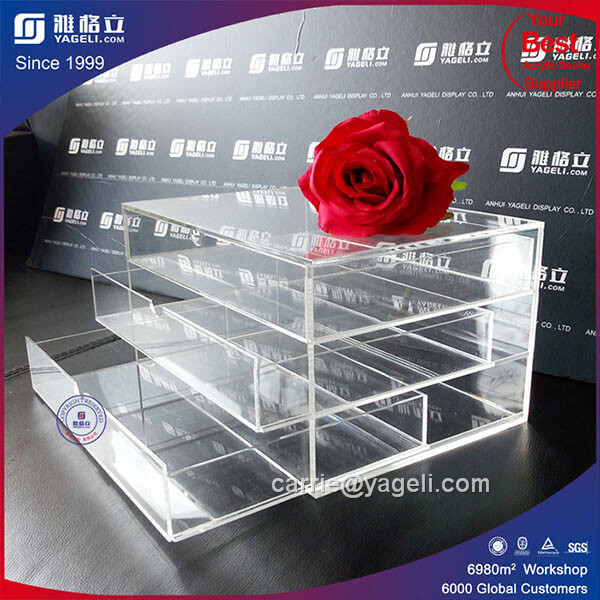 Excellent transparency.Transparent acrylic, the light transmittance over 92%. and does not produce the poisonous gas. 5. Easy to maintain and clean,it can be scrubbed with soap and soft cloth. Q: Are you a trading company or first hand factory ? A: We are a first hand factory in China since 1999. Q: If you sell to different countries? A: Yes, we sell to all over the world. Q: Do you provide sample? Is it free or extra? A: Sure, our samples could be sent for evaluation at any times. Sample cost need to be paid. A: Sample Time: 3-7 working days. 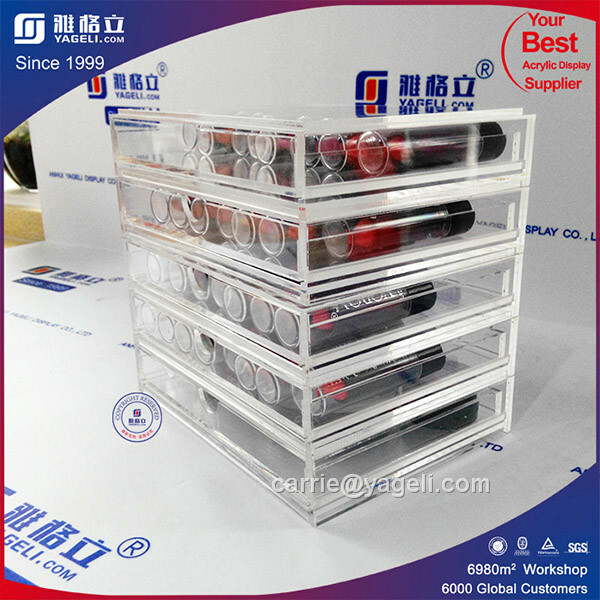 B: Bulk Order: Because all of our products are customized, so we don't have stock, usually our delivery time is 25-40 working days. A: Usually we accept Western Unoin for sample payment, T/T and Trade Assurance for bulk order. 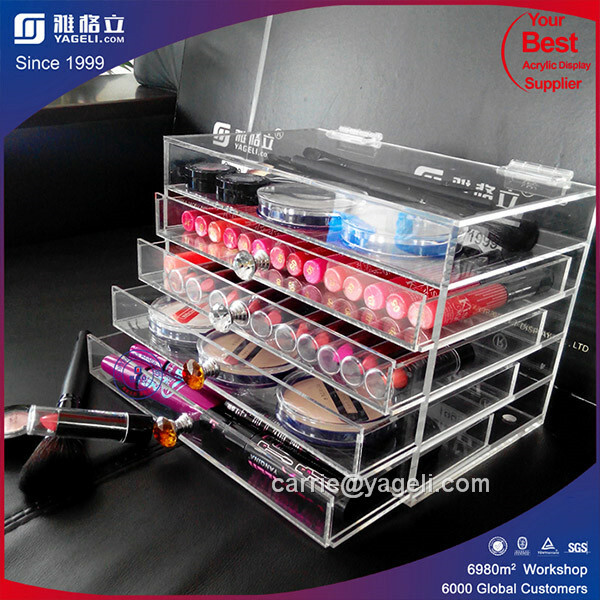 Contact us if you need more details on Acrylic Organizer with Drawers. 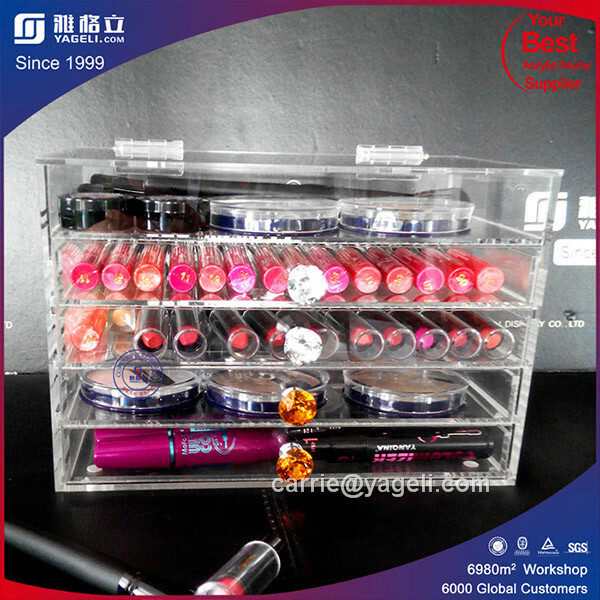 We are ready to answer your questions on packaging, logistics, certification or any other aspects about Acrylic Drawer、Acrylic Lipstick Organizer. If these products fail to match your need, please contact us and we would like to provide relevant information.